Yesterday was a BIG day for TVL and our partner's over at Global Education and Justice Network based out of Bumpe, a village in the southern province just 45 minutes away from Golu. Together we planned and executed the first ever all girls coding course. We were inspired by Toptal's STEM scholarship for women to bring this amazing educational opportunity to rural Sierra Leone. Our goal is to get the girls into a place of knowledge where they feel comfortable enough to apply for Toptal's scholarship program so they can continue practicing and learning coding. This is game changing! The girls could eventually build technical solutions to real life problems and issues they experience in their communities. This could change the way they think about their own futures and what they want to do. At TVL, we pride ourselves in bringing opportunities like this to the underserved communities like Golu and Bumpe. Our work wouldn't be possible without dedicated volunteers and partners on the ground to make it all happen. A big thank you goes out to everyone involved! 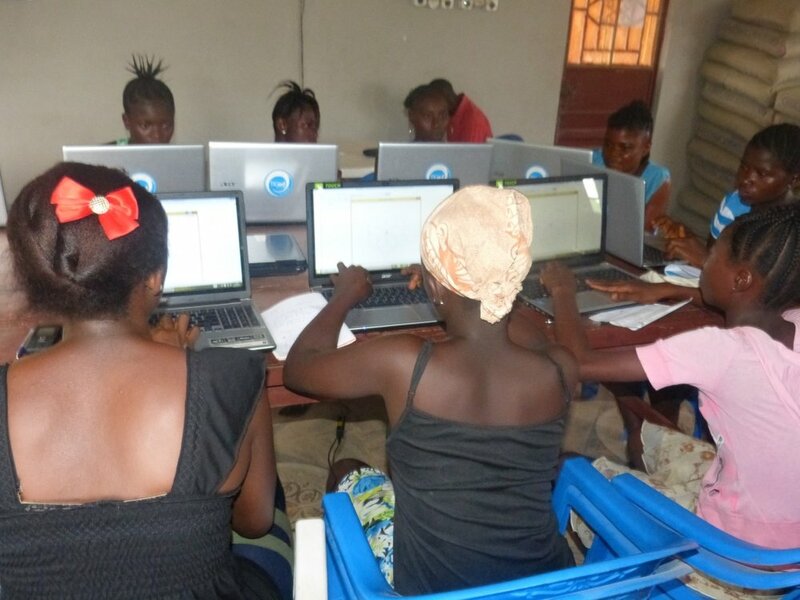 Today we transformed some of the young ladies from Bumpe and Golu into beginning Programmers with the star of the new computer coding class. Most of today's class was about getting to know each other. TVL volunteer and coding expert, Janet showed some pictures of where she lives in Redwood City and then Jodie showed Auntie Janet some pictures of Bumpe that included the Bumpe Bridge, the river, the town, the medical buildings, some of the students with their names, and the Computer Lab. After introductions, we talked about computers in general and discussed input and output devices. Then we went on to discuss input, output, and variables as parts of a computer program. We also went over the outline for our next six weeks of class. Most importantly, the students got 'hands-on' time on the computers. They created a text file and then a one-line computer program. Finally, we wrote our first multiple-line program, which was a little difficult for some of the girls, but I think they are all getting the hang of it. Next week we will write a few multiple-line pictures that draw pictures.